Burgundy Ridge. Built by Stone Bridge Homes Northwest, these homes are located on Bull Mountain with beautiful panoramic views of the valley. These homes are priced starting at about $720,000 and feature large four and five bedroom floor plans, three luxury designs, and in sizes up to 3500 ft.². Residents are part of the Tigard Tualatin school district and are assigned to the Alberta Rider elementary school, Twality middle school, and the Tualatin high school. Madeline Heights. Built by Lennar, this new home community is almost sold out. 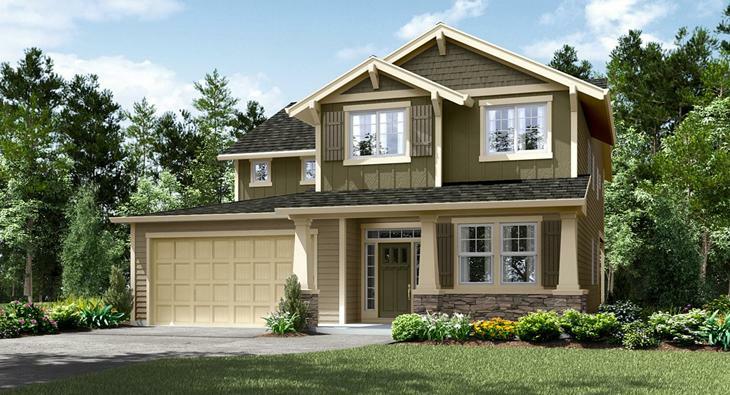 There are several home designs to choose from with two-story layouts and a two-car garage. Homes are priced from $580,000 and feature 3 to 5 bedrooms in sizes from 2500 ft.² to nearly 3500 ft.². Residents are part of the Tigard/Tualatin school district and attend the same schools as Burgundy Rich. Willow Brook. Built by Pacific Lifestyle Homes, there are several quick move-in homes available and 21 new home designs ready to be built. These are priced from $490,000 to about $690,000 in sizes from 1700 ft.² to 2900 ft.². Willow Brook is located near Interstate 5 and Pacific Highway, surrounded by several amenities such as Bridgeport Village, restaurants, parks, and more. They've already started to sell out. Residents will attend the James Templeton elementary school, Twality middle school, and Tigard high school.